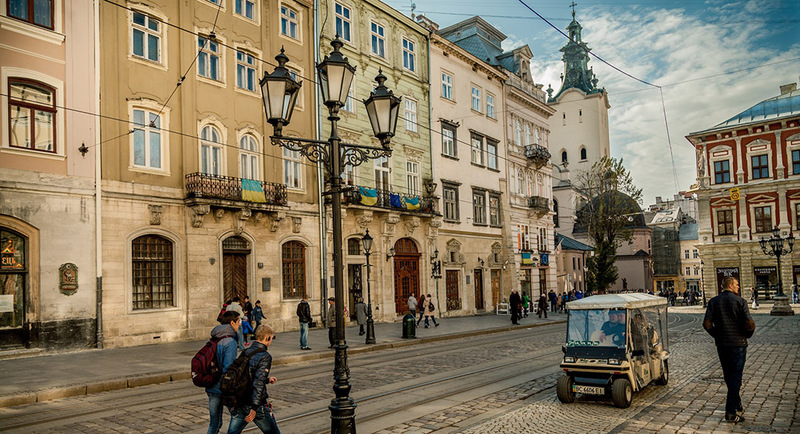 First golfcar excursions in Lviv! New contours of good old phaeton! True joy with wind and music! 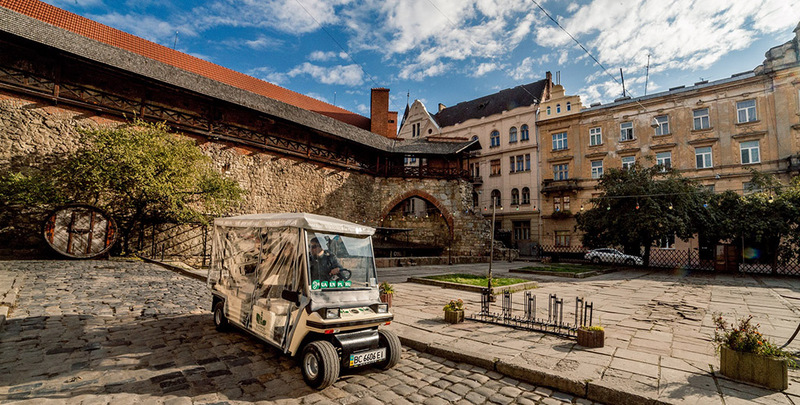 We are inviting the Lvivians and city guests to join the most modern trips in Lviv – by small, accurate and ecologically secure golfcars. 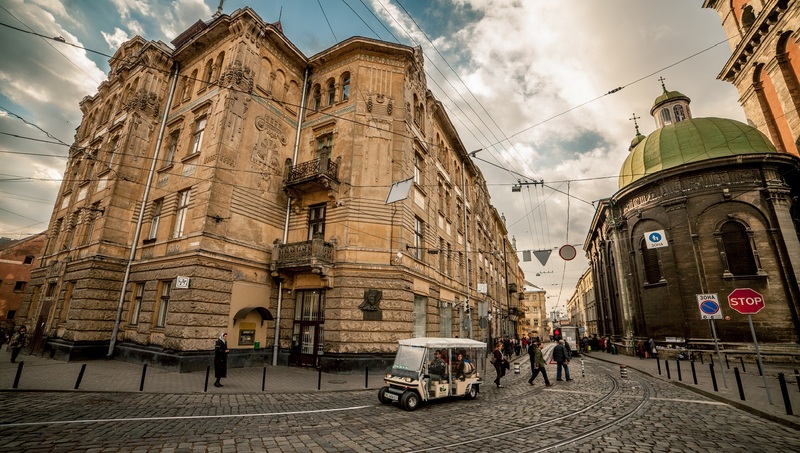 – «From Downtown to Austrian Lviv». 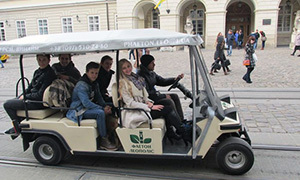 Come, get into the golfcar – and You’ll become the coolest traveler in our city! We are INTERESTING. 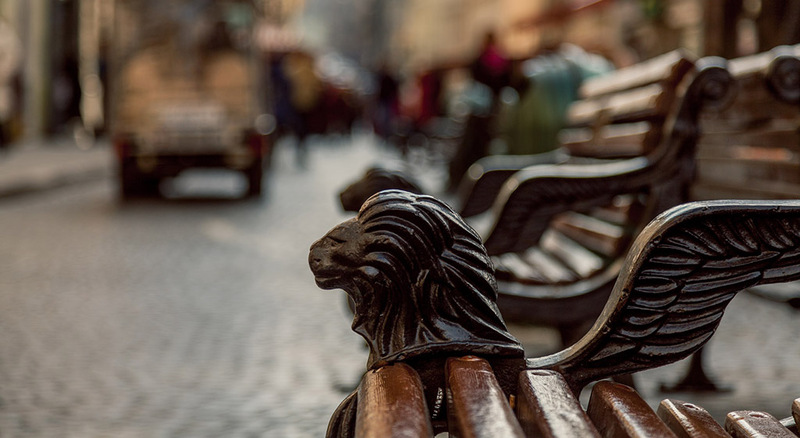 Our excursions are author elaboration – and apart historical facts you’ll learn interesting city stories and legends, listen to city music of old times and present day. 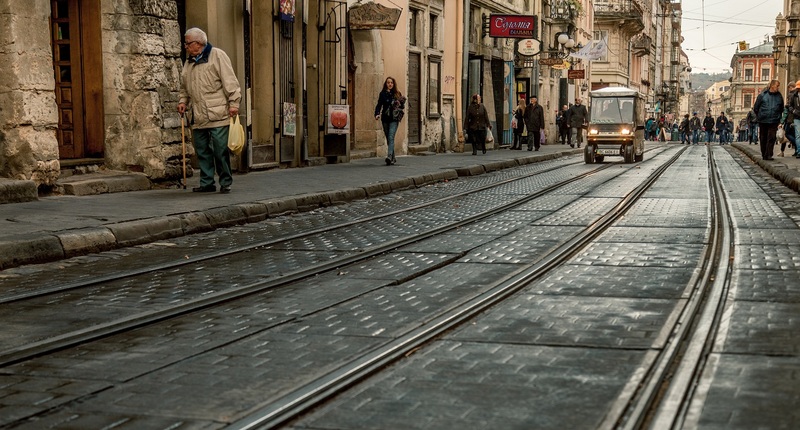 We are the only to stop in the most interesting places during the journey to provide you the possibility to get out for the better acquaintance with them. We are MOBILE. 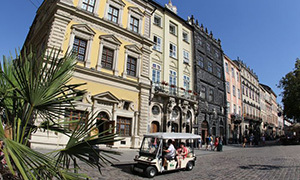 Our golfcar is the only one to take you to narrowest city streets where no other city touristic transport can get. You will be INDEPENDENT from all the other tourists. 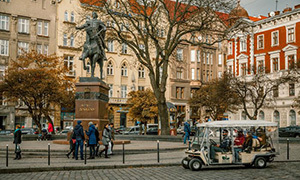 Golfcars’ capacity is up till 5 persons and our drivers and guides will work for your family or small friendly company only, they will stop in any allowed place in the route to satisfy your interest and desire to shoot the photos or even to visit necessary shop. It is COMFORTABLE with us. In summer the golfcars are open, and pleasant breeze will hush the swelter, but when it turns colder we are proposing you plaids, closing the golfcars with transparent curtains and switching on internal heating. We are offering a GOOD TEMPER. We warrant you warmth of our drivers and guides and optimistic smiles on your faces due to seen and heard in course of the trip. We are working from 10:30 till the end of the light day. Languages of audio excursions: Ukrainian, English, Polish, German, Italian, Turkish and Russian.